The Travelled Monkey: Zwarte Piet: friend or foe? A staple character in a harmless holiday tradition or an anachronistic hangover from Belgium's and Holland’s colonial pasts? Innocent symbol fun or thinly disguised racism? These are the questions that are starting to come up every year ahead of the Saint Nicolas (Sinterklaas) holiday on December 6 in Belgium and Holland. Some of the protest is local, but most of the outrage comes from outside. Ask any non-Belgian or non-Dutch person what they think about Zwarte Piet and I’m sure they’ll tell you, That’s not cool. But for people here, Zwarte Piet is as cool as it gets. 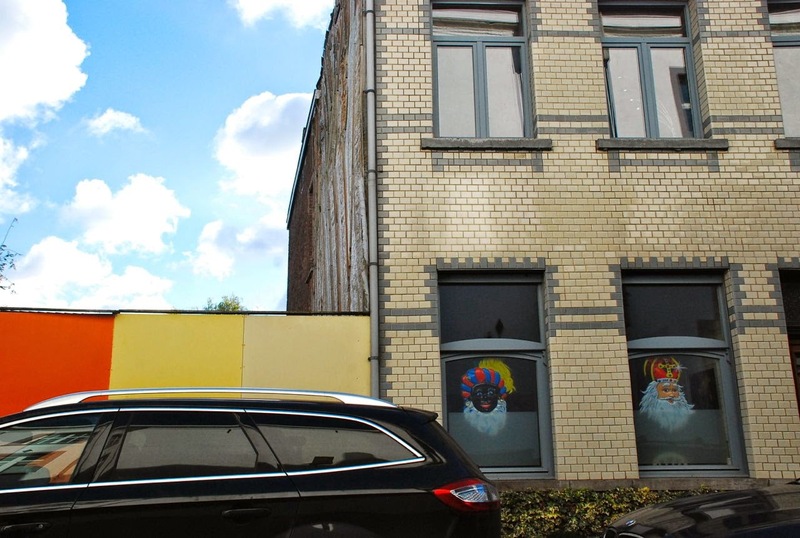 For a blog about navigating different cultures, this debate about Zwarte Piet is really interesting to me. It opens a whole bag of questions: Are we being too sensitive? Or do we have a moral obligation to correct a wrong from the past? Can we criticize another culture’s traditions? Or should we try and understand them first? 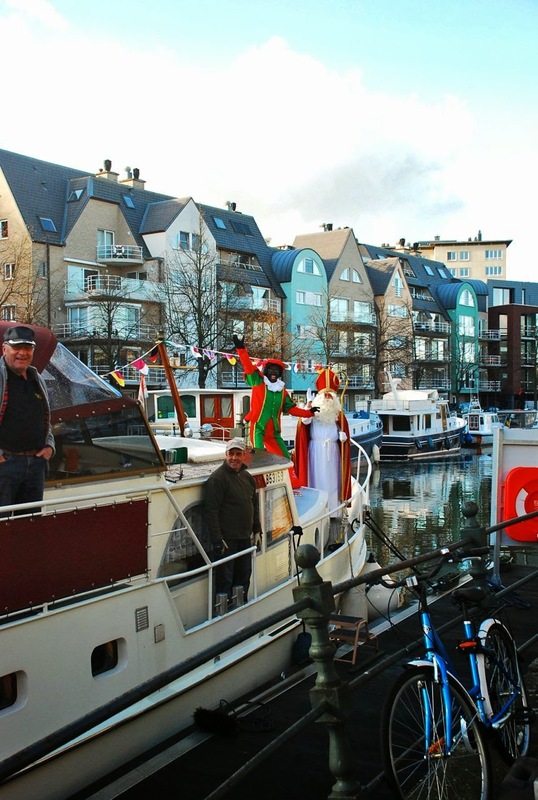 And who is Zwarte Piet anyway? Here’s what you have to understand: the Sinterklaas holiday is a very big deal in Belgium, and even bigger in Holland. It’s as big as Christmas and for many families it’s even bigger - the primary gift-giving holiday. Sinterklaas, like Santa Claus, wears a red robe, has a white beard and gives gifts to good boys and girls every year on December 6. He doesn’t have magical powers like Santa though. He’s more real. He rides a white horse instead of a sleigh pulled by reindeer. He lives in Spain instead of the North Pole. 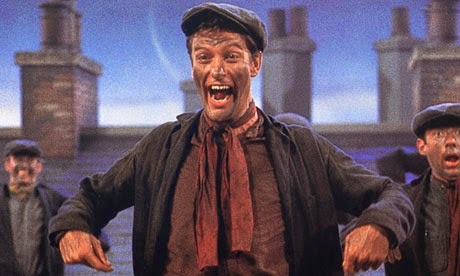 And instead of a workshop full of elves, Sinterklaas has a servant named Pete that climbs down chimneys to put toys in kids’ shoes – hence Black Pete (Zwarte Piet in Dutch). 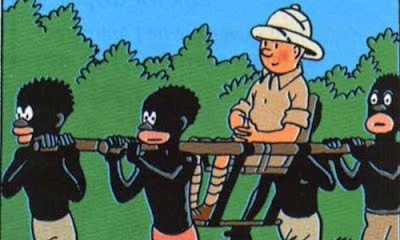 The problem is that the depictions of Zwarte Piet tend to be more Tintin in the Congo than Chim Chimney, Chim Chimney, Chim Chim Cher-oo. 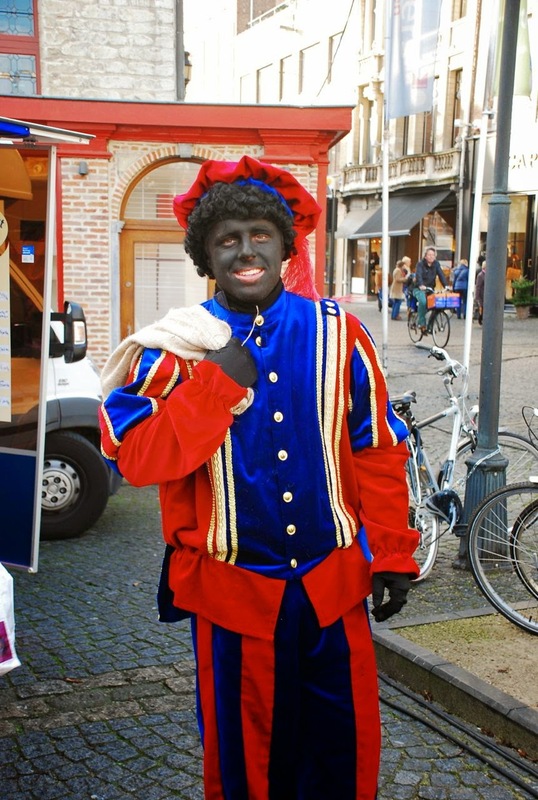 So is Zwarte Piet racist? That’s the beauty of tradition – like faith, it’s not a science that requires evidence for it to be “real” or “right.” We believe what we believe based on what we feel and what we were taught. Thankfully, some beliefs evolve as we get older. Sometimes we abandon them altogether, but sometimes we continue to play the game with our kids, and so the belief - the tradition - gets passed on. That's the way it is with Sinterklaas and Zwarte Piet: until a certain age, all kids in Belgium and Holland believe in Sinterklaas. But tell them that Zwarte Piet is a racist symbol, and not even the adults will believe you.